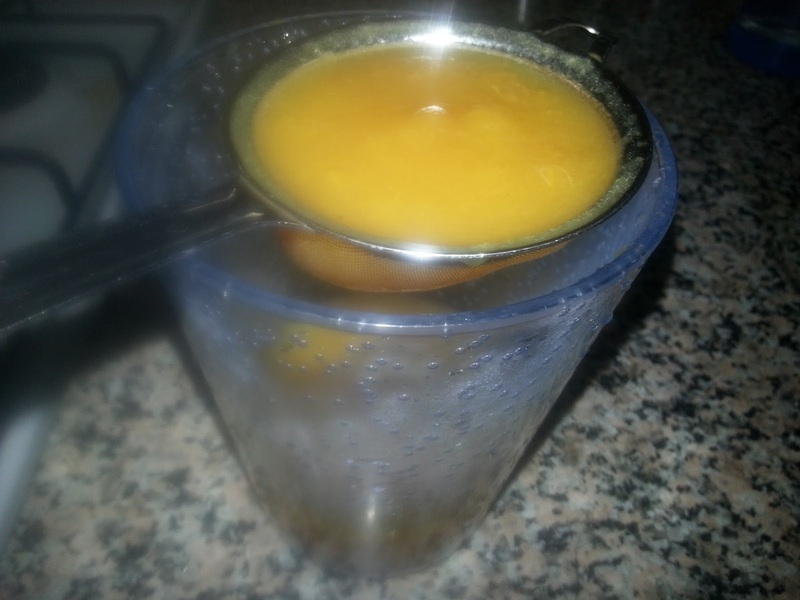 I have seen this recipe for peach lemonade several times but never got a chance to prepare it. I decided to give it a try today and it was really very nice. I enjoyed every sip of it till the end. A nice twist to the regular lemonade. I will definitely make this again. 1. 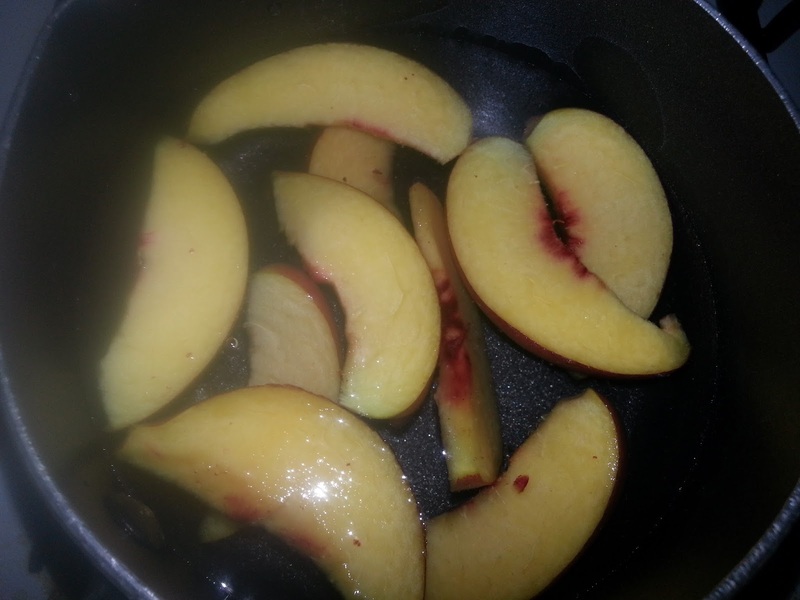 Wash the peach and cut into slices with the skin discarding the pit. 2. 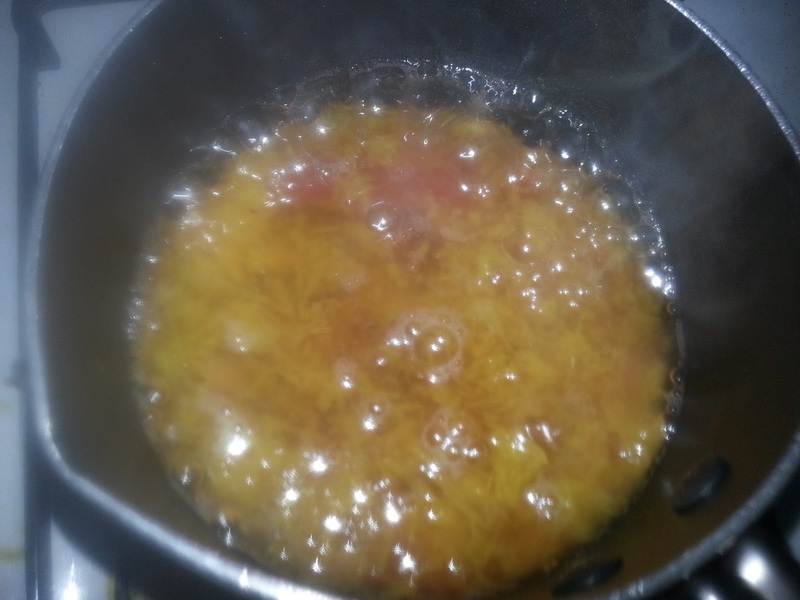 In a saucepan add the water, sugar and peach slices except 1 slice (for garnish). 3. Simmer on low flame. Do not boil. 4. Mash the peach slices with fork when they turn soft. 5. Turn off the flame when the water has become thick in consistency. 6. Let it cool down. 7. Sieve the contents, retain water and discard the skin and fibres. (You can also blend it and then sieve). 8. Add lemon juice to the peach syrup and mix well. Refrigerate it to chill. 9. Add 3/4 cup of cold still or sparkling water just before serving and mix well. 10. Adjust sweetness by adding more sugar if required. 11. 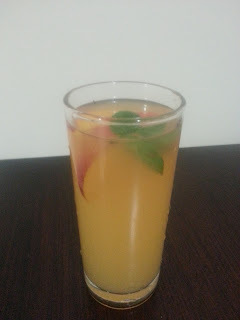 To serve, pour in a glass and add the peach slice and mint leaves with optional ice cubes.